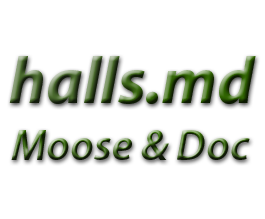 This index includes ALL our posts on healing foods for various diseases, including autoimmune diseases and Blood Pressure. We have also included diets or eating plans that are proven to be healthy. The Dash Diet was not originally designed for weight loss. Indeed, the Dash diet is a healthy eating plan to lower blood pressure through diet. So, there are a few versions of this diet around – all of them healthy. Furthermore, this is one of those healthy diets that does lead to weight loss. So, get stuck into fruit and vegetables, whole grains, lean protein, fats, nuts and seeds. Eat your way to health with this one. The Gluten Free diet has become enormously popular – even for people who do not have celiac disease or gluten intolerance. Many people are switching to gluten free eating for both health reasons and weight loss. Does a gluten free diet help with Autism? Is a gluten free diet healthier for well people? Find out ALL the research behind the gluten free trend. Hashimoto’s Diet: What Foods TO Eat and Why? This article takes all the research behind which healings foods to include on your new diet for Hashimoto’s disease. Find out here the main essential nutrients, vitamins and minerals that may play a role in helping with hypothyroidism symptoms. All our advice is backed up by the VERY latest research. In this second post on Hashimoto Thyroiditis, we look at all the research behind which foods to avoid and why? The two main principles involve healing the gut and avoiding potential allergens. The theory is that some foods promote inflammation and thus the inflammatory response. Discover all about the roles of probiotics, iodine, selenium, vitamins and much more. In this post, we look at foods, and some of the research, that can help alleviate symptoms of anxiety. Interestingly enough much of the research and advice mirrors that for autoimmune conditions, such as Hashimoto’s. Foods that reduce inflammation certainly play a role. So, if you suffer from anxiety symptoms a few dietary changes may well really help and could boost your general health, and reduce your waistline into the bargain. The Mediterranean diet has actually won the approval of Dr. Halls as a healthy weight loss plan. As the name suggests the Mediterranean Diet stems from the traditional eating patterns of countries bordering the Mediterranean sea. Indeed, recent research shows that this diet is right up there as one of the healthiest eating plans around. Here we take a look at the raw vegan diet. What is the thinking behind the raw food trend? 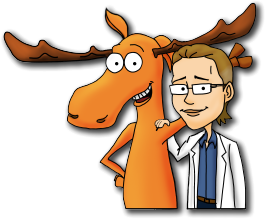 Moose and Doc take a balanced approach and examine all the medical research behind the raw vegan diet. From enzymes and detox to example meal plans. What are the benefits and risks for those who choose to cut out the cooking and get raw?